When I was teaching preschool and kindergarten, Halloween was, hands-down, the children‘s favorite holiday of the year. Since it typically falls on a weekday, children loved discussing their costumes, where they were trick or treating, and (of course!) what candy they received. 1) Creating jack-o-lanterns. I would cut out large circles of orange construction paper and then give the children each a sheet of black paper with different shapes traced onto it in pencil (the pencil shows up against the black paper). Some shapes were triangles or squares or small circles, for example, and the children got to cut out whichever shapes they wanted and paste them onto their jack-o-lantern bases. This activity fostered many different skills at the same time: fine motor development (cutting and pasting), visual discrimination (deciding where to paste the cut pieces), and learning the names of the different shapes. 2) Completing Halloween math worksheets. These worksheets are nearly identical to regular math worksheets but they include Halloween themed pictures like ghosts, haunted houses, pumpkins, bats, spiders, and webs. The children loved seeing their math worksheets “jazzed up” with fun pictures and it helped keep them engaged during math lessons. 3) Teaching the holiday-themed words. Halloween has a special set of words that are typically only associated with the holiday. So late October is the perfect time to teach these words to young children. To start, consider teaching children the words Halloween, costumes, trick-or-treat, haunted house, spider, and jack-o-lantern — as well as refresh your child‘s knowledge of words he may already know such as candy, pumpkin, and holiday. If your child is learning to read, you can write these Halloween words on flashcards so he can practice looking at them and identifying the word. Halloween worksheets are a great way to infuse the holiday spirit into your child’s regular activities, since they typically highlight these holiday words and reinforce their meaning in a fun way. 4) Encourage your child to donate some of his candy to a nearby homeless shelter or by giving it to his dentist. This activity will help your child learn to share his wealth (in this case, his bounty of candy) with those less fortunate. Also, knowing in advance he will be sharing his candy will help keep the holiday from becoming too candy-centered. Some of my former students also carried small donation boxes with them as they trick or treated, asking residents to give pocket change to a worthy cause in lieu of giving candy to the child. Again, this helps broaden a child’s knowledge of the world around them and the needs of others. 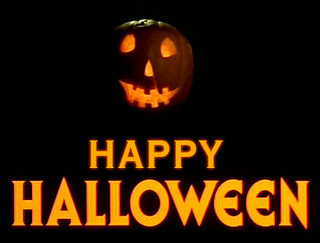 I hope you and your children have a fun, safe, and educational Halloween! For information on helping your child develop important school-readiness skills, please visit Renee at www.schoolsparks.com for a kindergarten readiness test and free kindergarten worksheets. Renee Abramovitz is a a former preschool and kindergarten teacher who retired in 2008 to become a “full-time grandma” to her four beautiful grandsons. She is passionate about the idea that all parents are their child’s first and most important teacher and strives to give parents the tools and confidence they need to successfully work with their children at home. Renee shares tips for working with young children at www.schoolsparks.com where she offers a free kindergarten readiness test parents can take to assess their child’s readiness to start school plus hundreds upon hundreds of free kindergarten worksheets for parents to use at home with their children. Don’t get bored of board games! I remember making paper Jack-O-Lanterns as a kid. I might have to try that with my kids this weekend. They are getting excited about Halloween. I remember that very first activity from school myself, and I really loved it!